Star Clippers have been renowned for delivering fantastic tall-ship sailing experiences in the Mediterranean, Caribbean and around Cuba and the Panama Canal. The three ships, Royal Clipper, Star Flyer and Star Clipper, provide a fine blend of traditional sailing experiences with contemporary amenities and facilities. From December 2016, Star Clippers will operate a range of itineraries around Asia, stopping at a number of exciting destinations in Thailand, Malaysia and Singapore. Asia is home to some of the world’s most popular international holiday destinations, such as the vibrant bright lights of Singapore and glistening golden beaches of Phuket Thailand. These are two destinations you will be able to visit with selected Star Clippers Asia itineraries and, this week, we take a closer look at what to expect from these stunning destinations. Some of the Star Clippers Asia itineraries will start in Singapore, whilst others will conclude in this small nation. Upon arrival, you’ll be greeted with tall skyscrapers and city lights, but there is much to explore within these bustling streets. Singapore is one of the only nations to ever gain independence against its will, having been expelled from the Malaysian Federation. Since 1965, the country developed its own sense of culture, with many works of contemporary art and fantastic food to be enjoyed. Be sure to try the traditional Singapore Laksa, a coconut-based soup with noodles, spices and garnished with seafood or meat. If you enjoy shopping, Orchard Road will become one of your new favourite destinations, with shops selling everything from ancient antiques to vibrant spices. If the city streets become too much and you fancy something a little more peaceful, there are plenty of options. 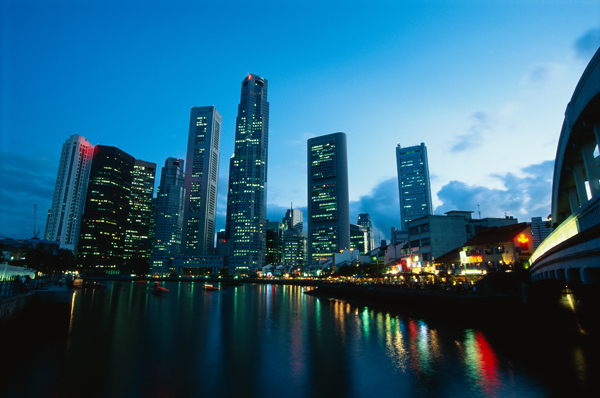 Singapore was once part of the British Empire, and there are many features which provide a nod to this bygone era. Visit the Victorian botanic garden and wander around a range of beautiful lakes, animals and plants that’ll lead you to believe you’re still in the UK. Other quintessentially British features include the Padang Cricket Ground. Upon arrival in Phuket, you’ll notice a huge contrast between Thailand’s largest island and the bustling cosmopolitan nation that is Singapore. Situated within the Andaman Sea, a small causeway connects this popular Thai beach paradise island with the mainland. Having once enjoyed a period of trade within the rubber and tin industries, Phuket’s tourism has led to it becoming the wealthiest province in Thailand. Phuket is renowned for the quality of its golden beaches, which provide a perfect destination for activities such as diving, windsurfing, snorkelling and jet-skiing – all of which you’ll have the opportunity to do during your Star Clippers cruise. 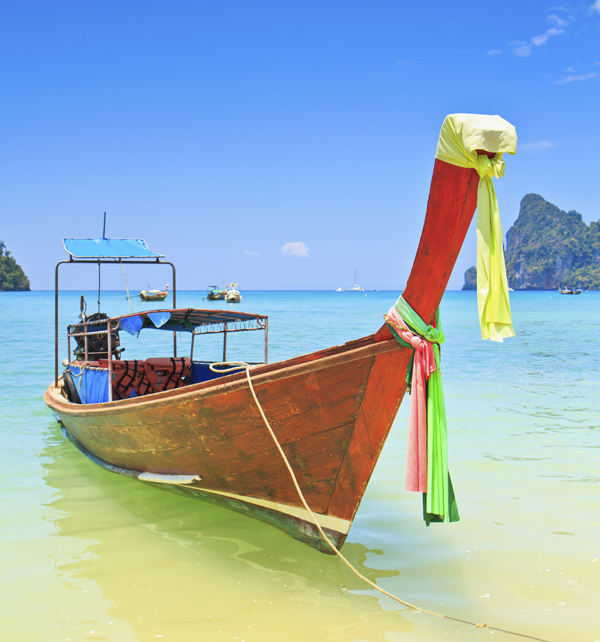 If you’d rather explore everything Phuket has to offer and appreciate the Thai culture, there are plenty of options. The Chalong Temple provides an insight into the island’s monks, who historically helped the local people during the Chinese rebellion. There is a large marble Buddha on the top of Naka Kerd Mountain, where a trip to the top will also provide fantastic panoramic views over Phuket. Be sure to also explore the island’s natural features, such as the mesmerising waterfalls; the largest in the whole of Thailand. The new range of Star Clippers Asia itineraries begin in December 2016, following a Suez Canal transit cruise, taking passengers from Athens to Safaga, Egypt. Whether you’re excited about Asia cruise itineraries or would prefer a cruise in the Mediterranean or Caribbean, the Star Clippers tall-ship sailing experience is one you will never forget.